Djirra’s policy and advocacy work drives systemic change to improve Aboriginal women’s access to justice, safety and equality. Our extensive on-the-ground experience working with Aboriginal communities across Victoria informs Djirra’s call for systemic change. 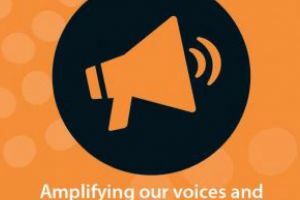 Djirra stands firm for change by running highly successful campaigns, maintaining a regular presence in decision making forums and committees, and contributing our expertise to important government initiatives and inquiries such as the Royal Commission into Family Violence in Victoria. Our CEO, Antoinette Braybrook is also the convener of the National Family Violence Prevention & Legal Services Forum and through this role she ensures that voices of Aboriginal women all across the country are heard at the national level. We welcome community feedback and contributions to our policy and advocacy work. For more information or input contact our team at info@djirra.org.au.  At Djirra, we run campaigns to create awareness about the impacts of family violence for Aboriginal communities, help prevent family violence and advocate for Aboriginal women’s voices and rights. We know that Aboriginal women have the solutions to issues affecting their lives, so all of our campaigns are driven by Aboriginal women. To follow and support our campaigns, sign up for our newsletter or connect with us on Facebook or Twitter. In 2016, we launched our Solutions to Family Violence campaign calling on everyone to stand with us. Family violence is a national epidemic and Aboriginal and Torres Strait Islander women are at the centre of this crisis. We must support Aboriginal and Torres Strait Islander women to break the cycle of disadvantage. No more silencing the violence! 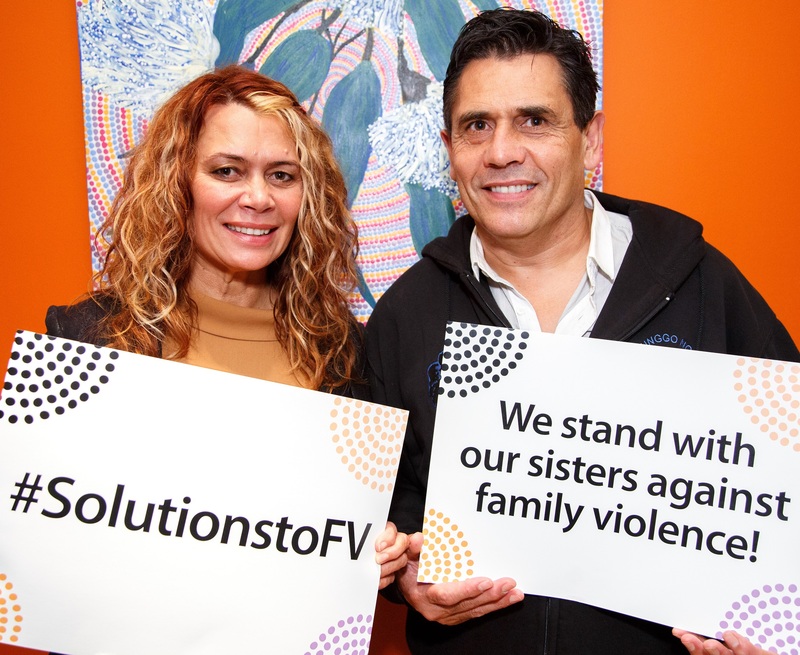 Read our FVPLS Solutions Booklet and watch our Solutions to Family Violence video. Each year we support the #16Days of Activism against Gender-based Violence ( 25 November – 10 December) calling on the community to stand with us and take action on violence against Aboriginal women and children. 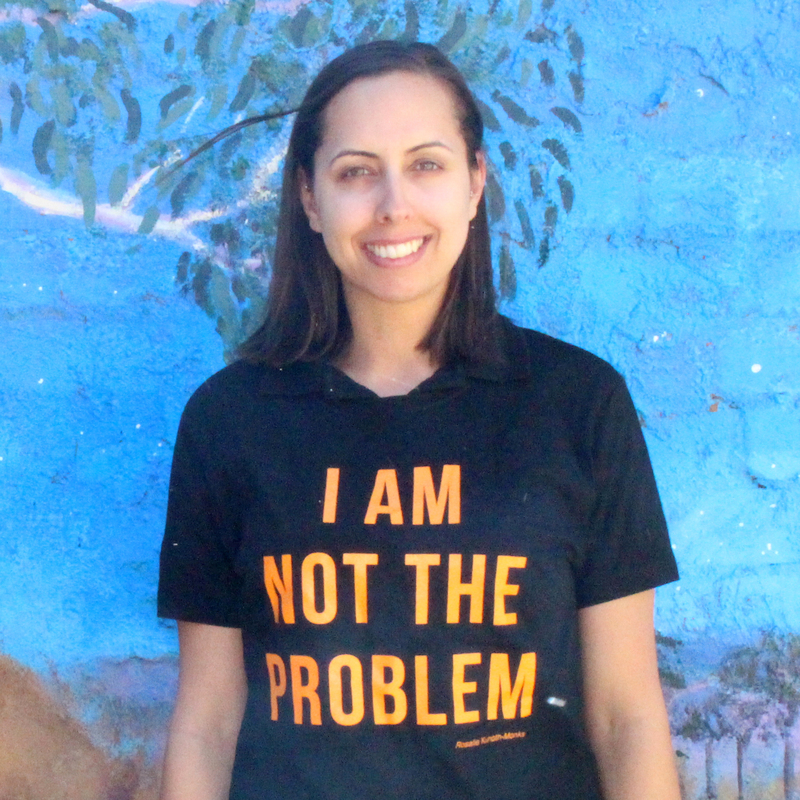 In the last couple of years, we ran our ‘I AM NOT THE PROBLEM’ campaign. Whenever Aboriginal women are spoken about in the dominant culture or mainstream media, we are always framed as deserving of the family violence we experience. We are not the problem, we have the solutions. Hear what we say, watch our video. In 2010, we developed three policy papers with the aim of strengthening legal equity, accessibility and outcomes for Aboriginal and Torres Strait Islander victims/survivors of family violence and sexual assault. Download FVPLS Victoria’s Policy Papers June 2010. Drawing from our extensive frontline experience and insights from Aboriginal people with lived experience of the system both as victims/survivors and as workers, these papers form the foundation of our policy and advocacy work. They continue to provide a valuable platform for Aboriginal women in Victoria to demand real and lasting change, as well as an important reference point for policy and law makers. As Djirra has grown, we have continued to develop and strengthen our policy positions. In 2016, the Victorian Royal Commission into Family Violence recognised the need to work in partnership with Aboriginal community controlled organisations like Djirra to reduce the unacceptable levels of family violence in Aboriginal communities. we need wide-spread reform and attitudinal change across systems to improve responses to Aboriginal victims/survivors and overcome beliefs, practices and processes which exclude, blame or silence Aboriginal victims/survivors and their children. The child safe standards (standards) apply to all Victorian organisations that provide services or facilities for children or employ children or young people. The standards are a compulsory framework that support organisations to be safer for children. The standards require organisations to implement policies and procedures to make sure that the safety of children is promoted and to prevent, respond to and report allegations of child abuse. The standards aim to embed the protection of children from abuse in the everyday thinking and practice of leaders, staff and volunteers. The Department of Health and Human Services is undertaking a review of the standards. In response to the ALRC Family Law Review Discussion Paper, the National FVPLS Forum urges the ALRC to maintain its commitment to break down barriers to access justice and safety for Aboriginal and Torres Strait Islander women and their children who have experienced family violence. This submission draws from the on-the-ground experience and perspectives of FVPLSs around the country, including Djirra, and makes many vital recommendations to ensure that Aboriginal and Torres Strait Islander victim survivors of family violence are not left to fall through the gaps and cracks in the family law system any longer. Djirra’s contribution to this joint submission on the Child Information Sharing Scheme Ministerial Guidelines focuses on the responsibility of information sharing entities (as prescribed under the scheme) to ensure that their services are culturally safe and that Aboriginal and Torres Strait Islander people’s views are always obtained and considered, where it is safe to do so. This is particularly important given that Aboriginal and Torres Strait Islander people may hold greater levels of mistrust due to past government policies and current high rates of child removal and therefore may be less likely to engage with community services if information is likely to be shared without their consent. Recommendations in this submission include the importance of cultural awareness training for all practitioners and strong engagement and referral relationships with family violence specialist ACCOs such as Djirra to work with Aboriginal children and families where family violence is present or suspected. This joint submission by family violence specialist organisations across Victoria, including Djirra, responds to the guiding high-level policy framework of the new CRAF (or common risk assessment framework). Djirra advocates for a culturally safe and relevant model that helps practitioners assess and manage family violence risk for Aboriginal people in a safe and effective way – free from racial prejudice and subconscious bias. This will help ensure that Aboriginal victim/survivors of family violence, predominantly women and children, have access to early and effective support and protection while maintaining autonomy and choice over their lives. 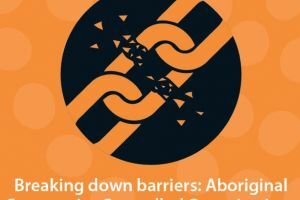 Aboriginal and Torres Strait Islander women and children experiencing family violence face a range of unique, complex and compounding barriers to accessing support and justice through the family law system. This submission makes forty recommendations that aim towards creating a more culturally safe, trauma informed and family violence sensitive family law system. Key recommendations include employing Aboriginal and Torres Strait Islander Family Consultants and Liaison Officers within family law courts, establishing a specialist Indigenous court list or hearing process, and ensuring culturally safe and specialised legal representation and support, such as that provided by Djirra, for all Aboriginal and Torres Strait Islander victim/survivors of family violence engaged with the family law system, including family dispute resolution. Reducing and eliminating family violence can only be achieved with genuine commitment to an informed, integrated and united government approach that recognises the over-representation of Aboriginal women and children among victims/survivors of family violence, and prioritises culturally safe and targeted approaches which address Aboriginal women and children’s unique needs, perspectives and barriers to getting assistance. This submission also discusses the need for long-term investment in early intervention, prevention and community education approaches, specialist and culturally safe frontline legal services and increased housing, advocacy and supports for Aboriginal victims/survivors, especially women and children. 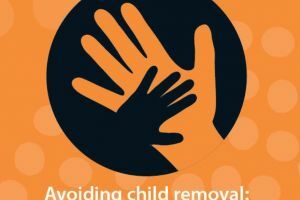 The Permanency Amendments fail to adequately take into account the reality and dynamics of family violence underlying the incidence of Aboriginal child protection involvement. 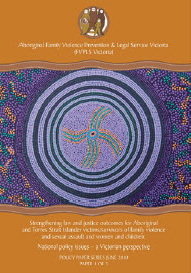 This submission addresses the limited capacity of the Court to make orders in the best interests of Aboriginal children, inappropriate constraints on the cultural rights of Aboriginal children, the lack of meaningful involvement of Aboriginal families and communities into case planning and permanency decision-making, and the need for earlier, intensive and long-term supports for Aboriginal women to deal with family violence victimization and achieve stability such that they can safely resume the care of their children. There is a strong link between homelessness and experiences of family violence, with Aboriginal and Torres Strait Islander women at disproportionately heightened risk. This submission discusses the importance of holistic and culturally safe service models like ours that include direct support for Aboriginal women and children to avoid homelessness as well as support to address a range of underlying issues that increase the risk of family violence-driven homelessness. Djirra is part of the National Family Violence Prevention Legal Services Forum (National FVPLS Forum) which is the peak body for the 14 FVPLSs across Australia who deliver specialist, culturally safe legal and non-legal supports to Aboriginal and Torres Strait Islander victims/survivors of family violence and sexual assault. Our CEO, Antoinette Braybrook, is the elected Convenor of the National FVPLS Forum and the Secretariat is based at FVPLS Victoria. As a member of the National FVPLS Forum, Djirra contributes Victorian perspectives and insights to the development of a strong national response to family violence affecting Aboriginal and Torres Strait Islander women around the country. As a member of the National FVPLS Forum, Djirra actively contributes to policy submissions made by the National FVPLS Forum. You can check these national submissions here. International Spotlight – We have ECOSOC status under the United Nations Economic and Social Council, enabling us to elevate issues impacting Victorian Aboriginal communities to the international stage.